This year marks the 20th celebration of World Television Day. The commemoration was proclaimed after numerous countries gathered for the first World Television Forum in 1996. In that historical fellowship, influential media personalities banded together and discussed the significance of television for spreading information and real-time broadcasting of important events in different parts of the planet. In support of the occasion, we’ve prepared ideas on how you can make watching TV an active session. As parents, we know how passive television can be. Kids just sit there, trying to absorb what they see on the screen. This is not as fruitful as active TV learning. In this article, the focus is on nature documentaries. There are lots of shows about nature on various TV channels like Animal Planet, National Geographic, Discovery and many more. These programs are educational by themselves, but you can be more active by turning the viewing session into a fun learning activity. Many kids are fascinated by animals. 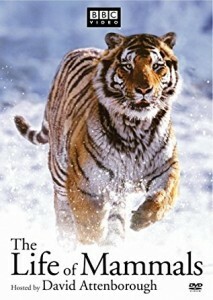 For a start, a blog post by Kidspace Museum recommended shows like Life of Mammals and Life of Birds, both of which were presented by Sir David Attenborough. You can prepare questions beforehand and turn the viewing session into a contest or a quiz bee. Have some books or encyclopedias ready so your children can do their own research if needed or have it as a form of lifeline, similar to the game show “Who Wants To Be A Millionaire”. Ask questions like, “What does a giraffe eat?” This one’s easy enough, but you can follow up with “What do you call the kinds of animals that eat leaves?” If they haven’t been exposed to the subject of herbivores at school, you may provide clues and let them open books or turn the question into a multiple choice. You can create your own set of questions from the most basic to more advanced and use them depending on which animals are on the screen. Children love games, so this activity will bring out their competitive spirit. TV shows about plants are also interesting to children, especially those full of color in flower fields and gardens. In a blog post by Tootsa, a freelance garden designer explained how children love imagining and experimenting with plants. As you watch with your child, you can let them draw a garden or forest or any other place that has lots of plants using the images on the screen as inspiration. 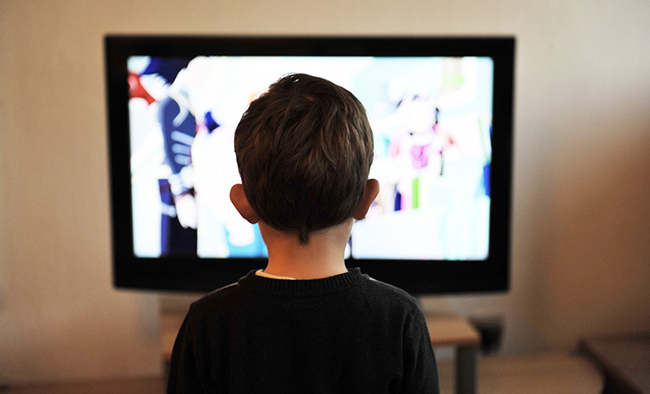 Kids have wide imaginations and according to Media Smarts, TV programs can tap into that potential. 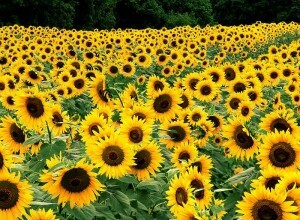 Seeing a sunflower for instance may lead them to conjure up images of sunflower fields. Let your child express himself/herself through artistry. When it comes to weather and natural disasters, be sure that the program has no incredibly disturbing images. For instance, you can limit the session to a show about storms and flood destroying buildings, vehicles and other inanimate objects without actually portraying the loss of life. You can then teach your kid about basic safety and perform role-playing about specific situations. For instance, tell your child that the flood water is already getting dangerously high. You can then ask, “What will you do?” Let your child get the phone or mobile and act as if they are talking to emergency services. There are also programs about earthquakes, giving you the opportunity to educate your child on what to do when a tremor hits. Make your child go to the safest spot in the house that you’ve taught them about before. After the session, you can talk to your child about the importance of responding or dealing with natural disasters. The American Academy of Child and Adolescent Psychiatry implied that it’s crucial to discuss this topic, where knowledge can eventually help save lives. These are only some of the activities you can do with your children to make watching TV a more active experience. You can definitely use shows other than documentaries and create your own style of turning the viewing session into a worthwhile activity. Have fun!